December 27, 2017 By Aileen Leave a Comment This post contains affiliate links. As an Amazon Associate and member of other affiliate programs, I earn from qualifying purchases. I have slowly but surely decorating our new home and making it the way I want it. The trend I love lately is everything modern farmhouse. I can’t do a full bathroom remodel, so I thought adding a modern farmhouse bathroom tray would add a nice touch and make my guest bathroom feel more put together. I added just a few luxury items to my bathroom tray. I wanted it to be simple and decorative with that modern farmhouse feel. Kleenex is the first thing that came to mind. I love having it on hand year-round to wipe little faces, take of lipstick, and just because it looks pretty in the box. 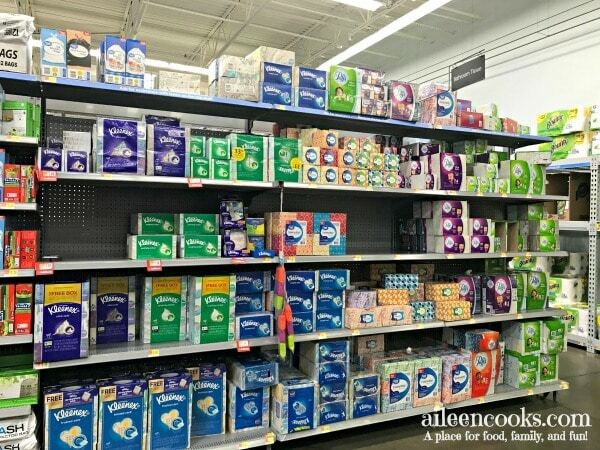 Kleenex tissue is one of those things we always had on-hand growing up and I love having it on hand for my family and guests. I also like that Kleenex has moisture activated blue dot layer with special anti viral formula to kill cold and flu viruses. I paired the Kleenex with a pretty and delicious smelling candle. It’s prefect in the bathroom because it adds a nice scent, even when not lit. Next, I added a hand soap dispenser in a pretty color. 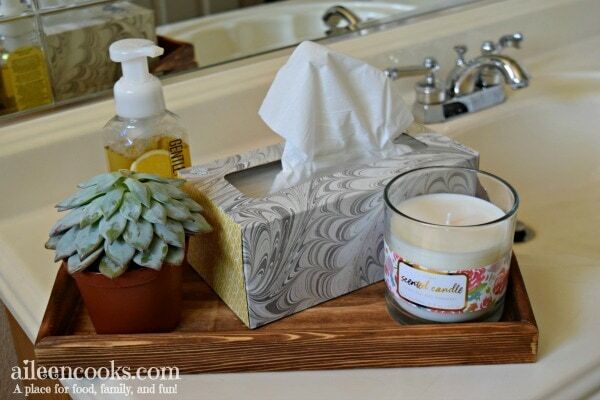 Soap is a must in the bathroom, but that doesn’t mean it can’t be decorative. I picked up the Kleenex at Walmart. I love shopping their because it helps me stay on budget. They also have a nice option for online shopping with free 2 day shipping. It’s nice to not always have to schlep to the store with 3 kids in two. Anyway, I love the way my bathroom tray turned out. I love how simple and practical it is. 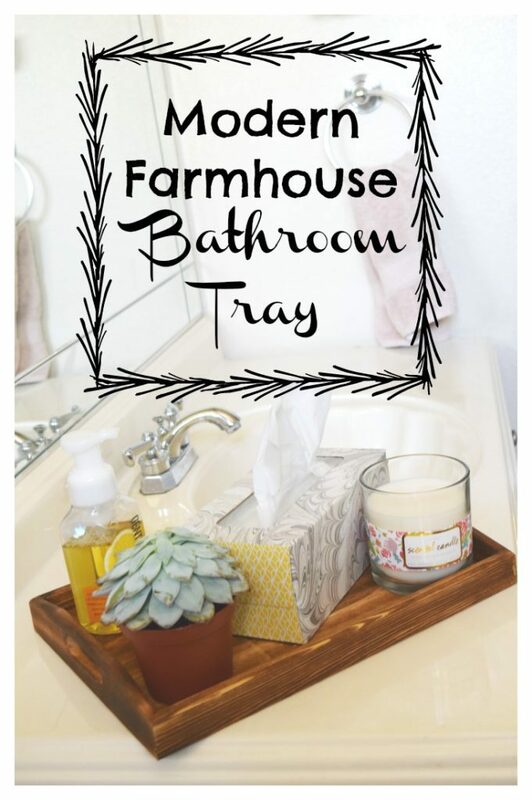 Now that I’ve added my modern farmhouse bathroom tray to our home, I’m thinking about all the other little changes I can make to decorate our home. Stay tuned!